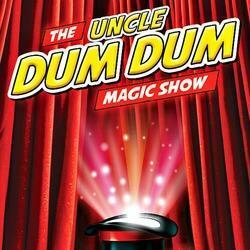 If you are looking for the Rolls Royce of Children's Party Magicians, Uncle Dum Dum is for you. Your guests and children will be talking about Uncle Dum Dum for years to come. Uncle Dum Dum with leave an indelible mark of absolute happiness on your life long memories. A 40-45 minute performance of sheer delight, suitable for all ages including the Moms and Dads (That's if they promise not to talk during the Show). A family show for everyone. So switch your cell phones to flight mode, get a cappuccino and round up the kids, moms and dads for an experience in bespoke, quality magical entertainment. 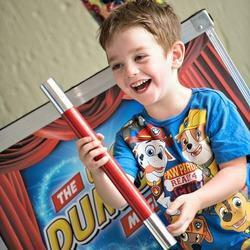 DUE TO THE EXTREME QUALITY, EXCELLENCE AND NATURE OF THE SHOW, if you are shopping around for the best priced magic show or the cheapest deal, then unfortunately Uncle Dum Dum the Magician is not for you. 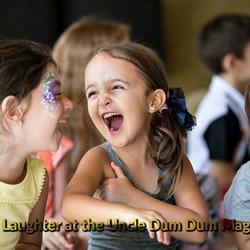 Do you want to be more popular on Face Book and get the like's you have always wanted- Then Book Uncle Dum Dum, the Cleverest Magician in The World.